Chromium is an essential nutrient that is vital in regulating blood sugar levels and along with vitamin B3 and three amino acids they act as a part of the glucose tolerance factor (GTF) that balances the action of insulin. Chromium is depleted from foods by processing and refining and consequently some people obtain inadequate intake from their diets. Aids in balancing and regulating blood sugar levels. Can help reduce food cravings. The Glucose Tolerance Factor (GTF) molecule includes Niacin (Vitamin B3) and the three amino acids: glycine, glutamic acid and cysteinet, often referred to as a polynicotinate. The discovery of the role of GTF in health is proving to be of major importance. 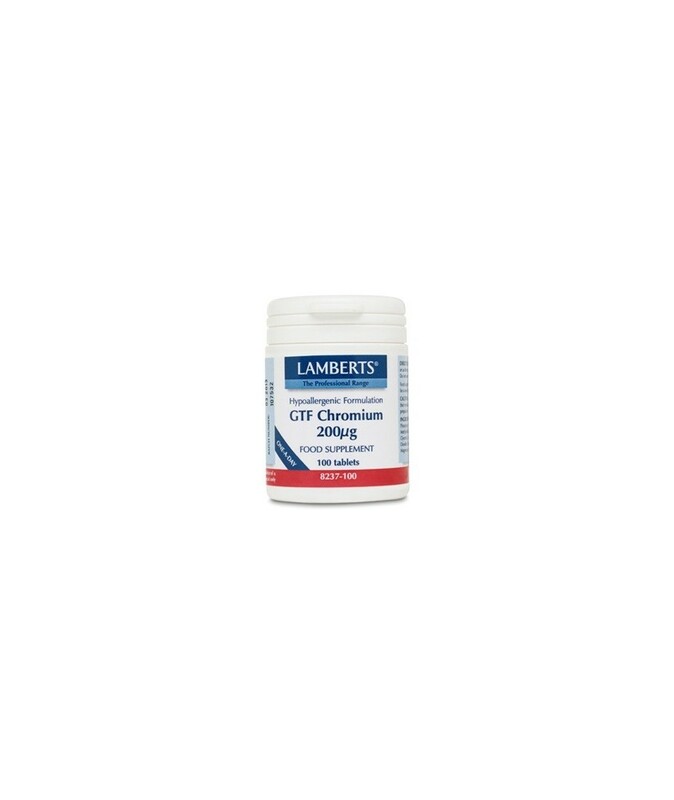 GTF potentiates insulin activity and takes part in glucose utilisation and the production and storage of glycogen. It assists insulin in enabling the cells to take up glucose for energy release, and synthesis of fatty acids and cholesterol. Many people may have a reduced ability to make GTF in their bodies. Also, many diets can be low in GTF as a result of food processing and modern agricultural methods. 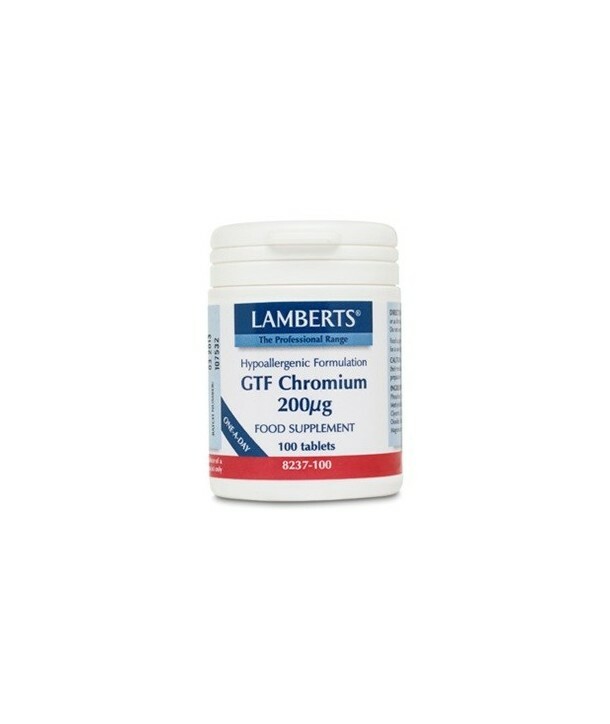 GTF chromium can, therefore, be a useful supplement to poor diets. Caution: Diabetics are advised to consult their medical practitioner before using this preparation. Daily intake should not exceed 200µg. Ingredients per tablet: Chromium (as Picolinate) 200µg. Tableted with: Microcrystalline Cellulose, DiCalcium Phosphate, Tablet Coating (Hydroxypropyl Methylcellulose, Colour: Titanium Dioxide, Glycerin), Crosslinked Sodium Carboxymethylcellulose, Silicon Dioxide, Stearic Acid, Magnesium Stearate.